The Board of Directors of Welcome America, Inc. today announces Michael DelBene as President and Chief Executive Officer, effective February 6, 2019. DelBene will lead the non-profit organization in its 27th year of promoting American history and education in a public-private partnership with the City of Philadelphia, enhancing both the resident and visitor experience through year-round, economy-boosting events. 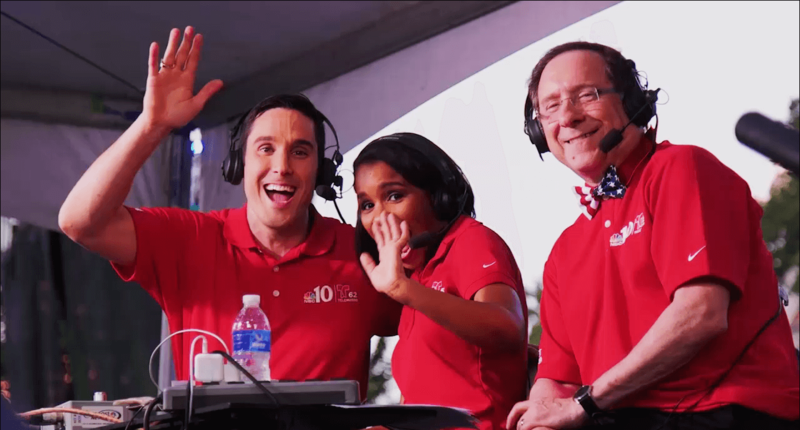 As the official broadcast partner of Wawa Welcome America, NBC10 and Telemundo62 will produce special coverage of the more than 50 free events throughout the week. NBC10 and Telemundo62 will air the Celebration of Freedom Ceremony and The United States of America’s Independence Day Parade live from Independence Hall on Wednesday, July 4. NBC10 will broadcast the Wawa Welcome America July 4th Concert and Fireworks on Wednesday, July 4th live from the Benjamin Franklin Parkway during prime time in its entirety from 7 p.m. to 10 p.m.
Prime Time July 4th Concert Starring Pitbull Televised Live on NBC10 starting at 7 p.m.
Submissions accepted April 12 – May 7 for The Wawa Foundation Hero Award, honoring a non-profit organization committed to serving the Philadelphia area by assisting others. Also starring in the Wawa Welcome America July 4th Concert will be Grammy Award Artist Heather Headley, and The Philly POPS® BIG Band. Philadelphia’s July 4th concert--produced by Live Nation Philadelphia-- is just one of the 50 free events planned for the 2018 Wawa Welcome America seven-day festival (Thursday, June 28 through Wednesday, July 4). The July 4th Concert will end with Philly’s largest Wawa Welcome America fireworks show in more than a decade. Produced by Pyrotechico and Comcast, the show will feature new special effects and a soundtrack dedicated to love. Details on entertainment, transportation, parking, security and other activities prior to and on July 4th. Get Free Up-Front Mary J. Blige and KIDZ BOP KIDS "Best Time Ever" Tour Concert Tickets, New Travel Packages & Deals, New Events, Fireworks Details, Mural Arts Philadelphia Monument Lab Summer Sampler & More! Wawa announced their continued investment in Wawa Welcome America as the title sponsor through 2019 as part of a Wawa Day celebration – honoring the most important date in Wawa’s history – the day Wawa opened its first convenience store in 1964. The extension through the year 2019 will mark the 10th year of Wawa’s title sponsorship of Philadelphia’s free July 4th celebration. Broad Street between Christian and Carpenter Streets in South Philadelphia will be named for Hometown History-Makers Boyz II Men on Saturday, June 24th at 11:00 a.m.
Join us at the Independence Visitor Center on May 23, 2017 at 1:30 p.m. when Welcome America, Inc., the City of Philadelphia, Wawa, Live Nation Philadelphia and partners will announce details of 50 free events for the 2017 Wawa Welcome America six-day festival Thursday, June 29 through Tuesday, July 4. Thank you for your interest in Wawa Welcome America. The 2019 Media Credential application will open in May 2019. Check back for more information. NOTE: All other Wawa Welcome America events can be covered without a press credential.